For our next Getting Blind With Crafty tasting panel we're going to return to pale ales for the first time since 2013. And, with so many beers now available compared to a mere four years ago, we're going to split it into two sessions – and are asking for your help in compiling the lineup again. 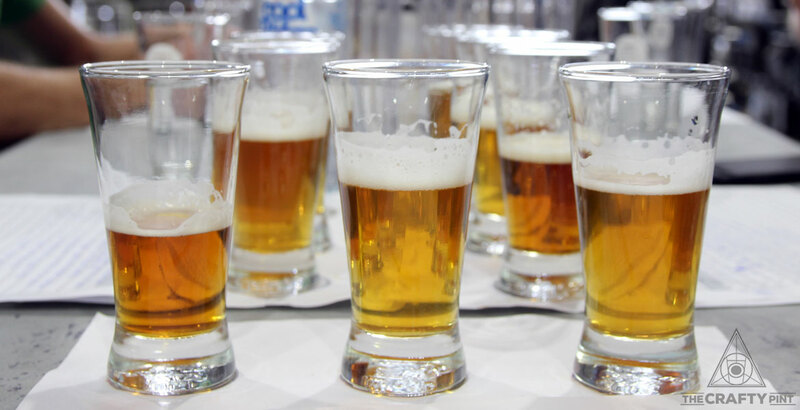 In order to put a good cross-section of beers to the test, and also to ensure we're comparing like with like as best as possible, we'll look at New World pale ales and American pale ales separately. The former are beers in which Australian and/or New Zealand hops contribute the dominant hop flavours and aromas; the latter... you guessed it. The rise in popularity of New World pale ales has been such that last year saw the Australian International Beer Awards create a new trophy in 2016, so it seems only right to follow suit. What's more, it means we can sample more beers over two sessions – even if lining up 20 or so in each will still represent only a fraction of all currently available. Compile comprehensive (as possible) lists of Australian brewed New World and American pale ales. These must be available in can or bottle. Brewers can nominate which category they go in. 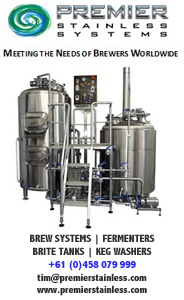 Please list beers at the end of this article or send them to us via email by September 25. The public vote round: on September 25, we'll publish the full list of American pale ales and invite readers to vote for their top ten. Deadline for voting will be October 2. We'll then use "Dealer's Picks" to add to the ten, ensuring there's a good spread around the states and territories, ensure any recent trophy winners not in the public ten are included and so on. And, as a new feature this time around, we'll also include a number of lucky dip entries – selected at random from those that are left. We'll gather a panel mid-October for the Getting Blind With Crafty tasting, publish the results soon afterwards, then host another public session featuring the best in the weeks after (possibly more than one as there has been interstate interest in running these too). The selection process for New World pales will take place sometime in mid-November ahead of a tasting at the start of summer. Short of assembling every packaged pale ale released by Australian brewers, it's impossible to make this process totally comprehensive but even the country's biggest beer awards only judge beers that brewers choose to enter so, in taking the steps above, we're hopeful this is as open and fair a process as we can undertake. Once again, where possible, we will buy the beers from retail rather than ask brewers to send them in so it's a fairer reflection of what our readers will be purchasing. It also means we can provide blind tasting feedback to brewers on how their beers are tasting in trade, something we believe is unique. 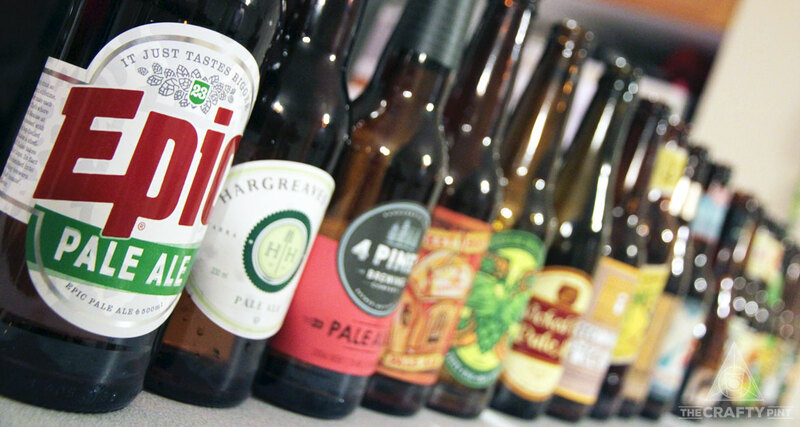 The lineup from our last pale ale tasting back in 2013, where numbers were bolstered with a few international classics. The beers must be brewed by a brewing company in Australia. They must be available in packaged (cans or bottles) form. We'll look at beers between 4.2 and 6.2 percent ABV. The BJCP guidelines for American pale ales give a range from 4.5 to 6.2 percent ABV but as the current reigning Craft Beer Awards Champion Pale Ale is Philter XPA at 4.2 percent ABV we'll stretch the parameters a little. So please add any beers – including in which list they should be included – in the comments below or send them to us via email by September 25. You can view past Getting Blind With Crafty article here.